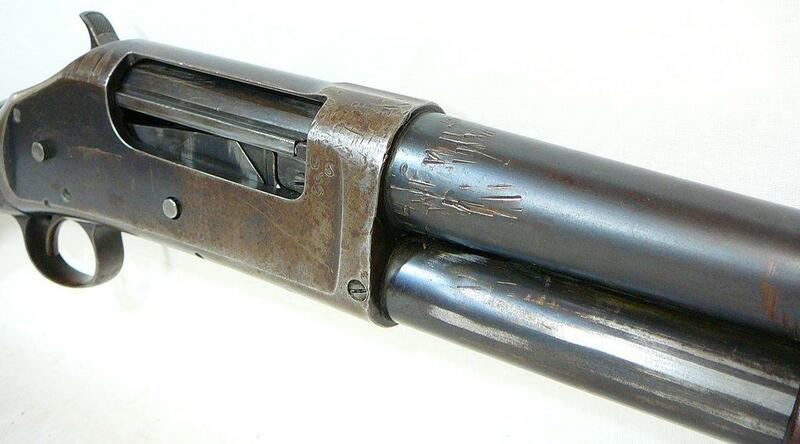 Thread: WWI WRA 1897 Trench, barrel swapped with a pipe Wrench? I just picked this up. 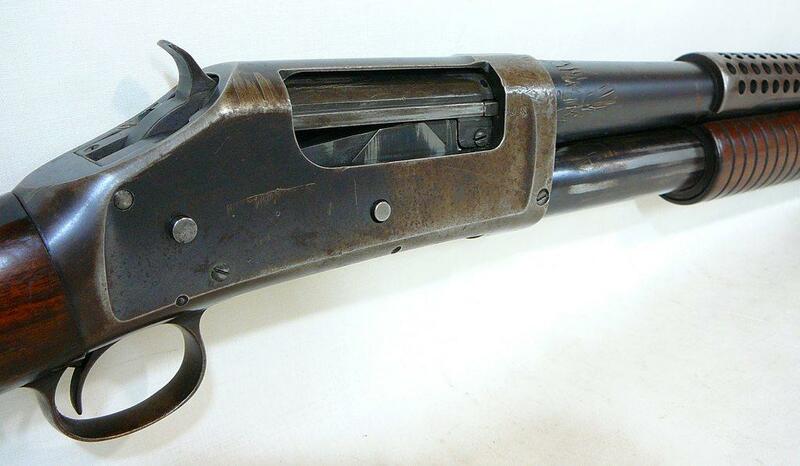 It came out of an estate and they didn't know it was anything except for a shotgun. 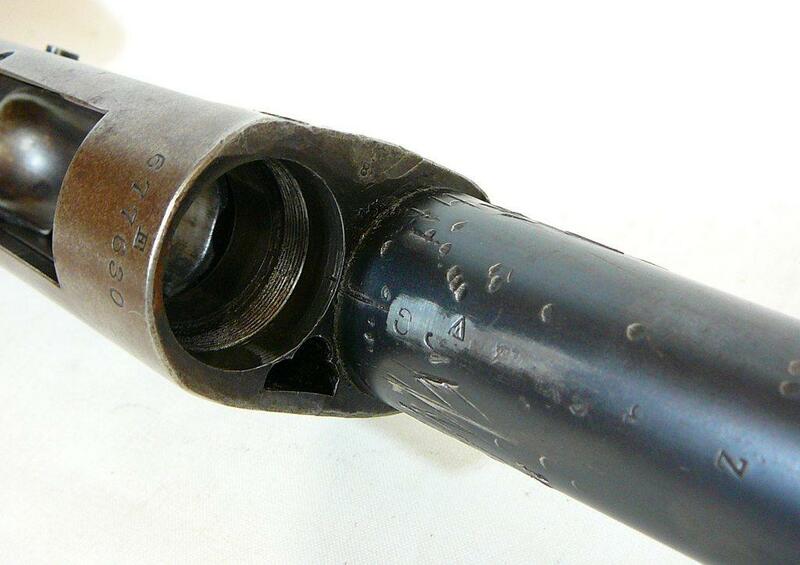 Looking at it, the barrel has been swapped, and they used a pipe wrench as the tool to swap it. Anyone ever seen this done before on another one? 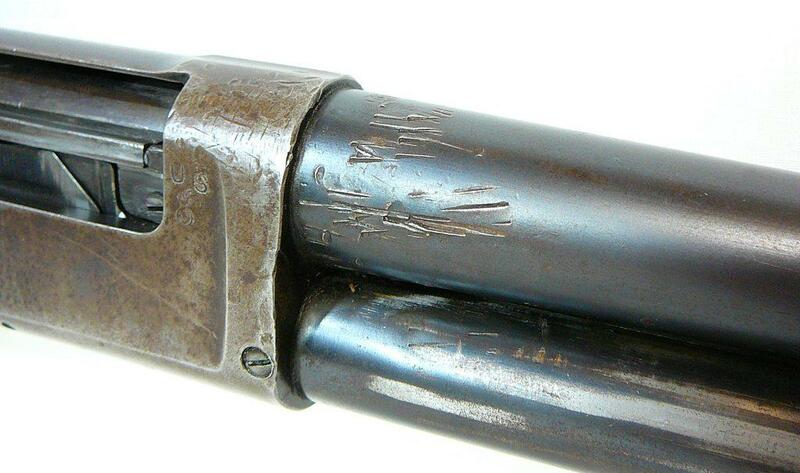 The barrel is a legit Trench gun barrel. 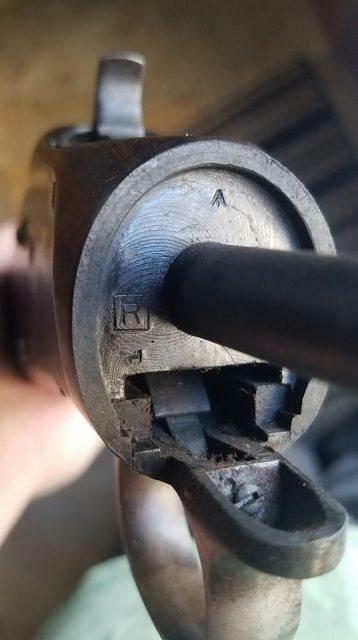 It never had a bead sight and is marked CYL. 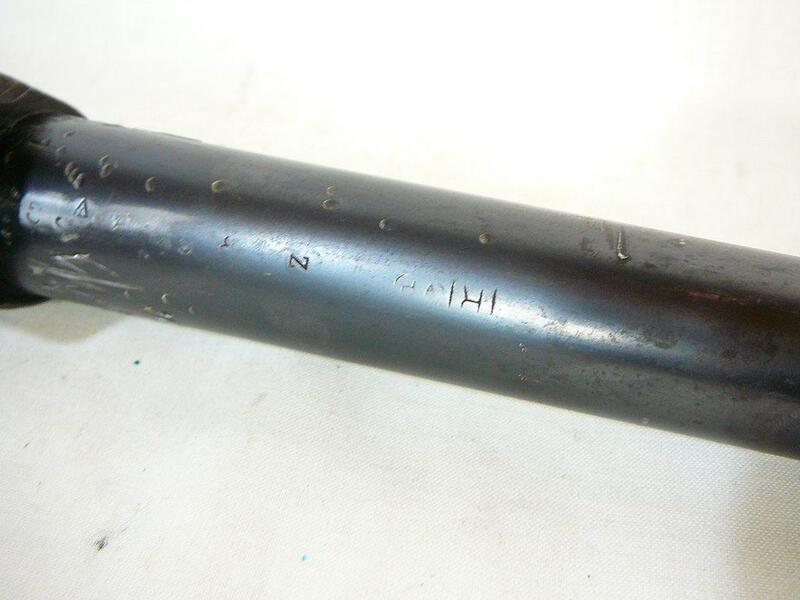 It also does have inspection stamps on the underside that I will post, just because I'm curious is it recycled from another Trench Gun, or did they order some replacement barrels off WRA at some point? I think other than the Barrel swap, it is all WWI and correct. If anyone sees anything not, please point it out. 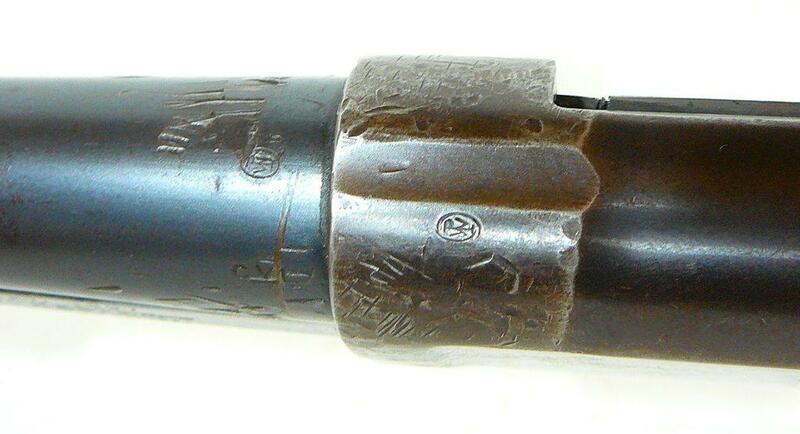 It also has what might be a British /Canadian broad arrow stamp? 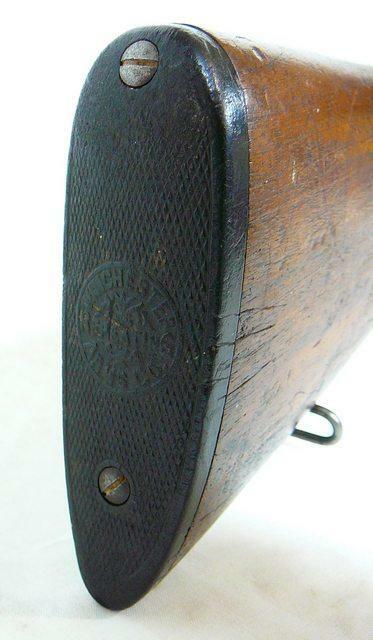 I'm not sure, and I guess that might be a WRA inspection stamp of some sorts as well. I don't have another one to compare. 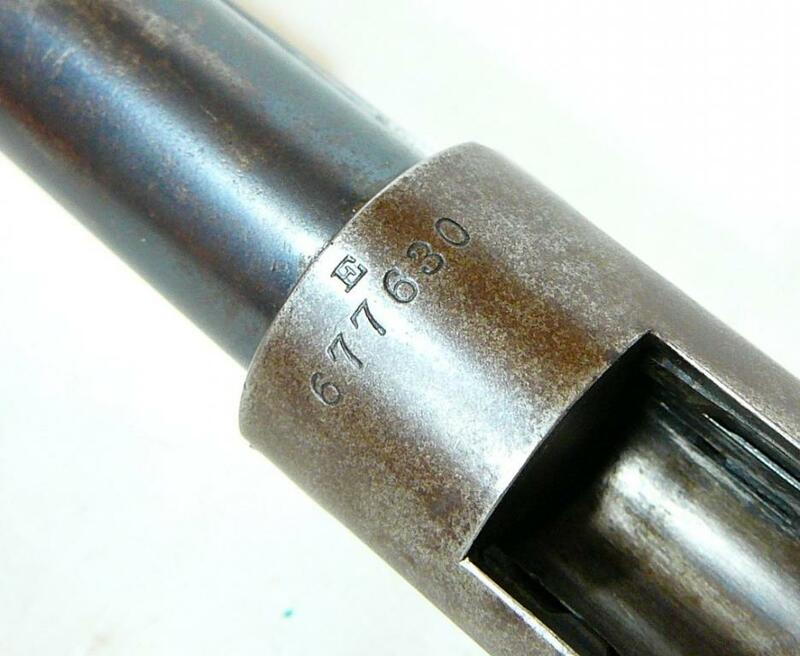 I'm a sucker for vise marks on the barrel as I think of the M1903's and the Marines, and there is a Marine serial hit about 40 digits off this one. 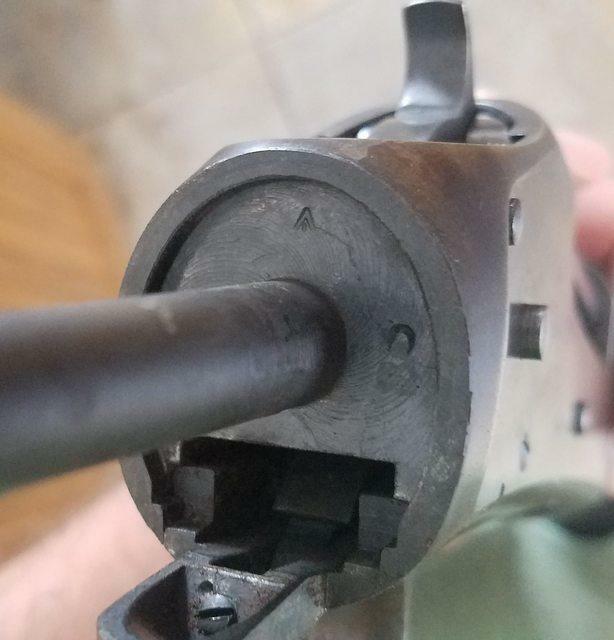 Though this could have been done by Bubba as well back in the day, but I wouldn't think he would have used a real Trench gun barrel as a replacement. It certainly wasn't swapped any time recent. 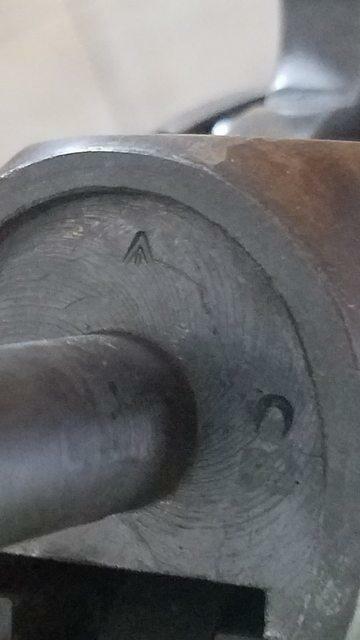 Is this a British/Canadian Broadarrow stamp? Or just a WRA inspector stamp? 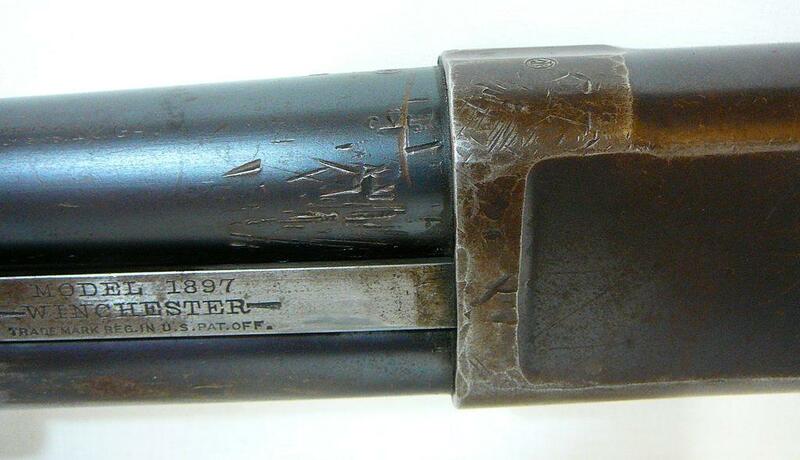 This same square R is stamped on the underside of the barrel. I don't know if it means anything? The barrel has for sure been removed. Last edited by cplstevennorton; 01-27-2019 at 10:37 AM. 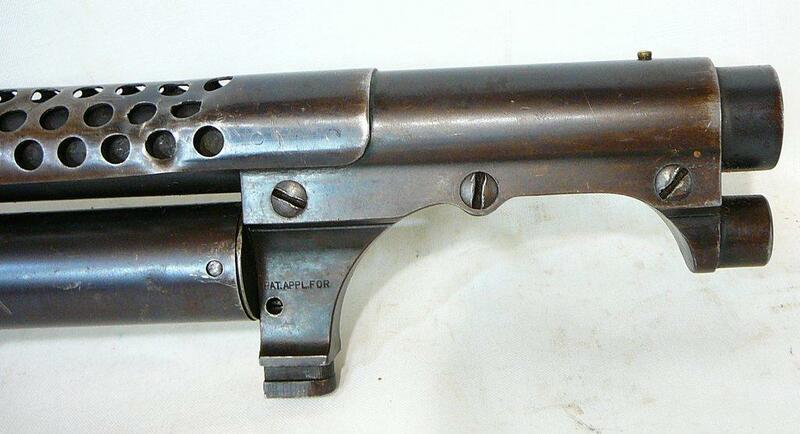 It is a real WWI 1897 trench gun. It even has the hand stamped US and Ordnance bomb on the receiver which make it more rare since most of the WWI 1897s did not have the hand stamped marks. Too bad someone really messed it up. "...Too bad someone really messed it up..." Yep. Destroyed any collector value. That's not a Brit broad arrow acceptance stamp. Too square and in the wrong place. Wouldn't be hidden away like that. Our was inside an upper case 'C'. Hey thanks guys for responding! Does anyone have an idea where to get a replacement front sling swivel or whatever the technical name is? 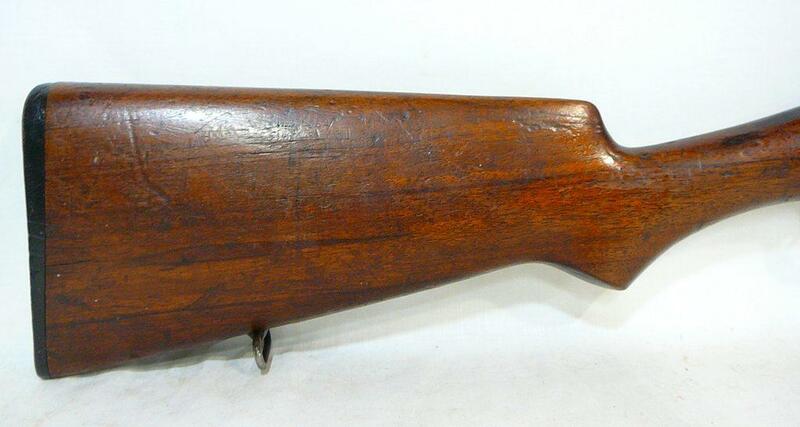 You have a rare piece there regardless of the barrel score marks. At 7 pounds and 6 shells on board it was a favoured weapon for many years of WW2 and right up to the Vietam War. Last edited by Gil Boyd; 01-28-2019 at 05:23 AM. 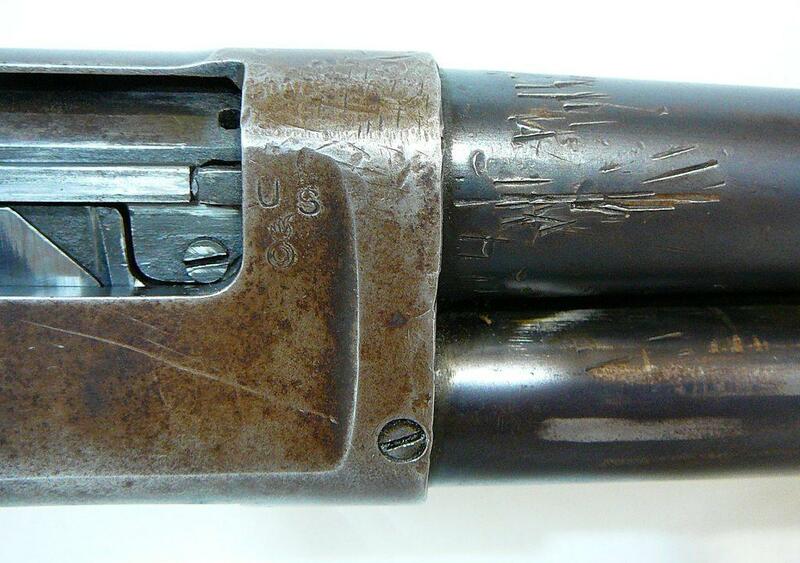 Meant to also add that if those two stamps are missing, it confirms an early version, with the serial number of your shotgun built in late 1917 or early 1918. You could get confirmation of this fact from the Winchester Polishing Room Records, but I am fairly certain from the written stuff I have on this beautiful piece that that is correct. Last edited by Gil Boyd; 01-28-2019 at 06:07 AM. 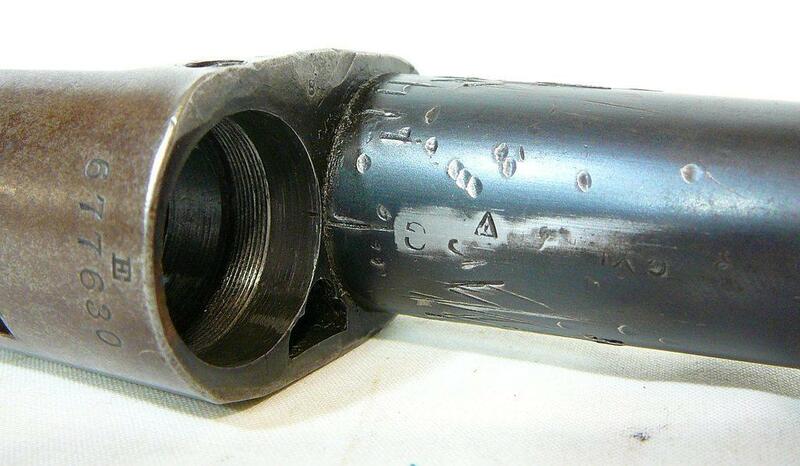 Perhaps Bubba decided that he wanted a long barrel for duck hunting and tried to remove it and failed. Or succeeded only to eventually put the original barrel back on later.